Chief of Staff of the Iranian Armed Forces Major General Mohammad Baqeri says the Islamic Republic is resolved to strengthen its military ties with Azerbaijan Republic. 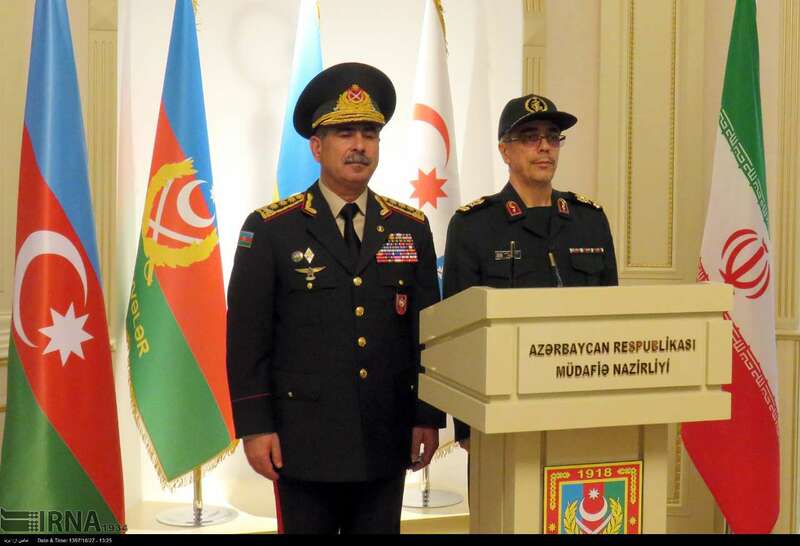 The top general, who was heading a top military delegation to Azerbaijan, made the remarks in a meeting with Azerbaijan’s National Parliament Speaker, Ogtay Asadov. During the meeting, the Iranian military commander called for strengthening of ties with Azerbaijan in all areas, underlined the need for peaceful resolution of regional disputes and protection of Iranian borders and expressed the Islamic Republic’s support for Azerbaijan’s sovereignty. “There are appropriate grounds for strengthening mutual ties based on good-faith and common values,” he said. He then referred to the significant role by the two sides’ officials in developing mutual ties and said over the past five years, the presidents of Iran and Azerbaijan have made 12 reciprocal visits to Tehran and Baku and held extensive talks on mutual interests. “The high-level talks have had positive effects on the two sides’ relations so much so that the trade volume of the two sides increased from $257m in 2017 to $400m in the first nine months of 2018,” he noted. He thanked the Iran-Azerbaijan parliamentary friendship group and said the regular participation of the two sides’ lawmakers in international forums are highly significant for tackling regional issues.